Home » Council VOA Starting! 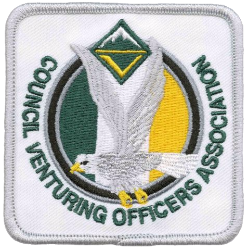 A Venturing Officers Association, or VOA as it is commonly called, will serve as a tremendous resource for all our Venturing Crews going forward. A VOA is designed to provide support and guidance to maintain and grow the Venturing program across the council. The VOA's ultimate goal is to help your crews obtain the resources it needs to run a successful program. Please join us for a kickoff celebration and BBQ on Sunday, September 10th from 1:00 PM to 4:00 PM at Pine Hill Scout Reservation. During the BBQ, you'll get a chance to learn more about this new organization, how we can help your crews succeed, and get information on some exciting upcoming events. There is no cost to attend this event; simply RSVP by clicking the button below so we have enough food for everyone. We are encouraging all crews to send at least one youth and one adult representative to the event to bring information back to your unit.